One of Cincinnati’s most beloved golf courses is turning 50 on Friday, June 12. Sixteen miles northwest of downtown, Neumann Golf Course has been an area favorite since it opened in 1965. Designed by Bill Diddle, Neumann’s three nine-hole courses are well known for fast and true greens, tree-lined fairways and elevated greens. 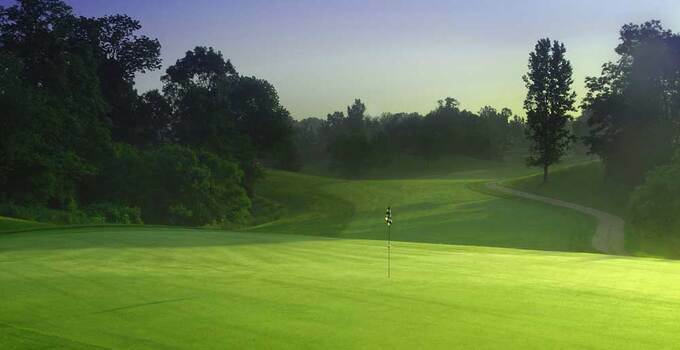 Part of the Cincinnati Recreation Commission portfolio, Neumann will host a nine-hole scramble tournament on the Red Course and an 18-hole scramble tournament on the White and Blue courses. Special guest emcee George Vogel, Sports Executive Producer for NBC 5 Cincinnati, will share stories and hit a ceremonial tee shot. Guests can win prizes and memorabilia through on-course contests including a 50-foot putt and a 50-yard shot where golfers have two chances to hit a ball into a baby pool filled with water.